Tractors and heavy machinery also require brass and bronze bushes. These bushes are exposed to extreme conditions. We manufacture bushes according to customer’s specifications and with the correct material and precise machining, our product’s performance surpasses expectation. 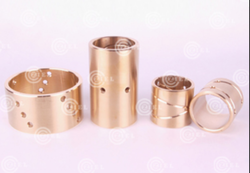 These bushings are manufactured from different grades of copper alloys to suit the requirements, e.g. 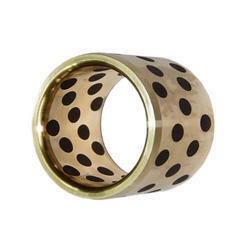 Phospher Bronze, Aluminium Bronze, Gunmetal, Graded Brass etc. These bushes have excellent bearing properties. King Pin, Con Rod, Spring Eye, Shackle, Idler Gear, Clutch Pedal, Brake Pedal, Steering and other automobile applications. Length: 2 TO 3 MTRS. We are offering Bronze Bush to our clients.